Canadian rapper Drake unveiled the track list of his upcoming album, Scorpion, on social media Thursday. Scorpion, which has June 29 release date, marks the Grammy winner's fifth studio album. The double-album will release under Cash Money Records, Young Money Entertainment and Republic Records ahead of his scheduled "Aubrey and the Three Amigos Tour" with rap group Migos. 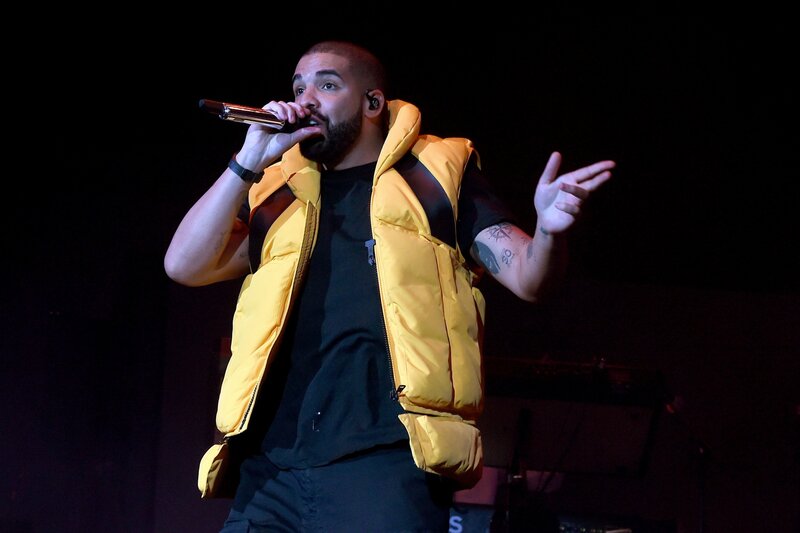 Scorpion features 25 songs with Billboard chart-toppers "Nice For What" and "God's Plan" among them. The 31-year-old's record will additionally include "I'm Upset," a song that boasts a music video with several of his former Degrassi: The Next Generation castmates. With Drake's big reveal on Instagram, there were noticeably no high-profile artists spotted beside the tracks. Here's a list of artists that should—and hopefully did—team up with for Scorpion. Rihanna has a busy schedule as of late due to her business ventures and acting endeavors. She returned to her musical roots on N.E.R.D's "Lemon" in November 2017, a song that Drake was tapped for to appear on its subsequent remix. While Rihanna and Drake are former flames, the pair has worked together on multiple songs like "Work" and "Too Good." Fans shouldn't rule out a potential collaboration between the two for Scorpion, but they could save their next partnership for Rihanna's highly-anticipated ninth studio album. Lil Wayne is Drake's long-time collaborator, telling MTV's Mixtape Daily in 2010: "He's my hero, my mentor and he's the reason I'm here." The pair has worked on more than 10 songs together, including "Successful" and "The Motto." Recruiting Lil Wayne for Scorpion is practically a no-brainer. Since Drake is scheduled to venture across North America with Migos from late July to mid-November, it would be a natural fit for the rapper to collaborate with his tour mates. He teamed up with the rap trio for "Walk It Talk It" in January, and its respective 70s-themed music video scored a BET Awards nomination for Video of the Year. Canadian singer The Weeknd had a vital role in creating Drake's Grammy-winning second album, Take Care, in 2011. After a fan suggested The Weeknd wrote most of the album in 2017, Drake confirmed that he co-wrote "'Shot For Me' and 'Practice,' [and] obviously was featured on 'Crew Love' and 'The Ride.'" The pair works well together, and Drake's double-album would be the perfect time to recruit the "Pray For Me" crooner again. Like with Rihanna, Minaj and Drake relationship holds a complicated history. The pair, however, works best as musical partners. In 2017, Drake was featured on Minaj's "No Frauds." The duo has additionally collaborated for tracks such as "Only" and "Make Me Proud," which means another song from the rappers is long overdue.